Blogging for SEO | 321Launch! 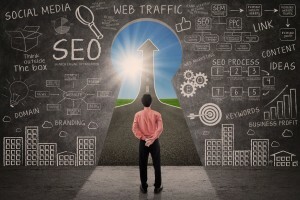 Are you blogging for SEO results? One of the most important social media marketing tools a small business owner can have is a blog. Having a blog doesn’t just mean posting a randomly, you must blog for good search engine optimization (SEO). Understanding SEO isn’t easy and Google has a habit of continuously changing its algorithms, but if you want to get new traffic to your website and people talking about you, blogging is the way to do it. There has been some debate about whether backlinking is a good practice. Linking your content to other websites and companies whom you have or wish to build relationships with that are quality and fitting to your brand is a great way to earn those golden SEO points. You know that wonderful smell of clothes when they first come out of the dryer? 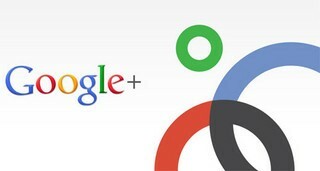 So does Google, only with new content and freshly written ideas and concepts. If you are blogging steadily, then that gives Google the indication that you’re putting out new content that is just waiting to be read. The freshest and most relevant content goes to the top of the search engine, right where your prospective clientele is waiting. Stuffing your content with random keywords won’t earn you any SEO points, but using key phrases and long-tail keywords that people are actually searching for, such as ‘social media marketing,’ or ‘best restaurants in Seattle’ for example, will keep you relevant. It also gives you tremendous credibility in your field and can make you the go-to expert when it comes to certain topics. Every time you blog, a photo or video should be included. It’s another way to create dynamic and unique content that waves a bright, “Look at me!” sign in search engines. Name the photos and images with relevant titles that include keywords and include tags that are popular, and trending. What better way to promote your small business’ blog than on your social media platforms? 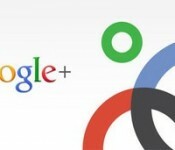 Google keeps an eye on your social media channels and favors well-written content on Google+. Make use of this opportunity to get the word out to a big audience quickly. What other tricks have you used to boost SEO with your blog?